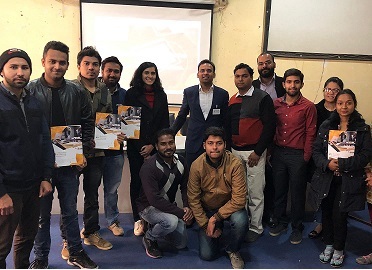 A short term duration taster session was organised by the business learning team in the campus on January 17th, 2019. The team was led by Puneet Maheshwari, Strategic marketing partner, also a renowned alumni of MONIRBA and motivational speaker. The workshop showcased a sofware that used the gamification technology, to enable students to understand the real business situations, by incorporating the elements of production, finance, sales and marketing into a game and enacting it virtually. The students participated in full strength and thoroughly enjoyed in the game presented. The students in the process, learned about different challenges faced by the industry and also ways to over come them.